Daily Debate: Should Item Durability Be Kept In Future Zelda Games? Breath of the Wild has changed many traditional Zelda conventions. It’s an open world, and has replaced large dungeons with smaller areas devoted to puzzles, or Shrines. It even incorporated a fully voiced cutscenes. However, the most controversial change of all has been item durability—every item in the game can break. Breath of the Wild isn’t the first Zelda game to have item durability, but the concept had never been expanded to such an extreme until now. Zelda fans seem to be evenly mixed on the issue. Some have enjoyed the durability feature, while others loath it. This brings up whether or not the feature should be maintained in future installments. 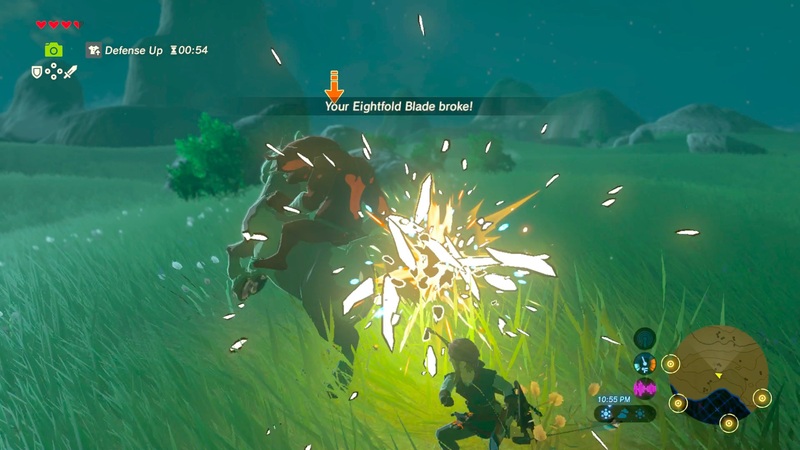 So that’s the question; should item durability be reused again in future Zelda games? Perhaps there is a better revision that could be made to the feature? Or do you just want items that are made to last? Be sure to share your thoughts in the comments below! This Daily Debate was inspired by Discord user @r2d93#7722 on our Discord channel.